Testogen Review – Are All the Benefits True or Scam? As essential as water may be to health, too much of it can certainly ruin your physical appearance. Edema or water retention in excess can have plenty of causes, which we are not going to address here. Instead, we will focus on 15 easy ways to reduce this problem and leave all that unnecessary and burdensome water weight behind – also known as “water weight”. Water retention is also what prevents many muscle builders from looking ripped. When it’s in too large quantities underneath your skin and within the tissues surrounding your muscles, it fills up all the gaps to a great extent and puffs you up. You may be working hard in the gym every day and have an impressive musculature underneath. Unless you’re eliminating the fat and water, your muscles won’t show up. Here is how you can get rid of the water in excess that’s left to stay within your bodily tissues. 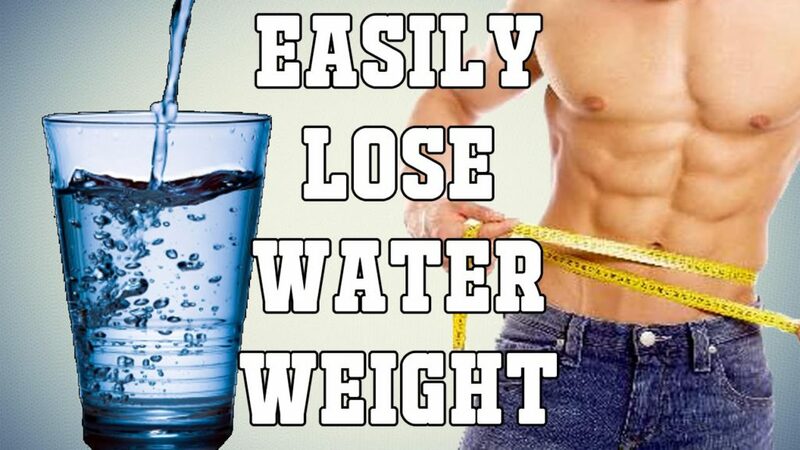 This is perhaps the easiest and quickest acting solution in fighting water weight. When you sweat, water comes out through your pores, which is in fact a very healthy process. Eliminating water trapped under your skin is exactly want you want, therefore you should focus on activities that get you to sweat – preferably on a daily basis: gym, aerobics, dancing, running, going to the sauna. Aim for one hour of exercise that makes you sweat, you can lose at least 0.5 liters of water. Also, the more you use your muscles, the better your blood feeds them. Constant activity makes your body brings excess water into the muscular fibers, which enhances your musculature. There is also a connection between sweat and a fast metabolism. The more water you evaporate this ay, the quicker your metabolism is, experts say. Sleep can help you manage your weight in so many ways. We’re often being warned about poor sleep causing weight gain and it’s true. Besides regulating hormones, preventing overeating and restoring energy levels, sleep keeps your internal organs healthy, including your kidneys, which manage the liquids in your body. Hydration levels are properly controlled when you sleep regular hours every night. It’s also got positive effects on the sodium balance and everyone already knows the connection between this and water retention. The connections are too numerous to be exposed here. There is no news that stress is very bad for one’s health and that it actually makes people gain weight. In countless cases, it simply is the number one culprit. Sometimes it makes one eat compulsively, other times it influences through subtle chemistry (boosting hunger hormones and insulin). Thus, stress keeps your cortisol levels high, which in turn has an effect on the anti-diuretic hormone, leading to water retention. These hormones are directly linked to your kidney activity. To manage stress, you can begin with simple relaxation techniques such as meditation or with herbal supplements and teas. These will work on the aforementioned chemistry and help you adapt to stressful situations with more ease. In addition, practicing sports can help you tremendously in managing high cortisol levels. Choose an aggressive sport if you have to, such as boxing, to release the stress within. Electrolytes are defined as minerals with electric charges and are absolutely vital. When their levels drop, our body usually signals through thirst, because water usually replenishes electrolytes. The most common method of depletion is through sweat but diuretics eliminating water will also lower your electrolytes level. For this reason, it is very important to keep drinking. However, not all water has the same element profile. Instead of merely drinking, you should consider water with electrolytes (sports drinks). Or, you could make your own, by adding a bit of honey, vinegar, lemon juice and salt. When electrolytes are low, your body can no longer balance its fluids properly. The more you sweat, the more of these you’ll be losing. Refrain from adding salt to your food, it is often the main culprit for water weight. There is enough of it anyways in so many of the foods we eat, whether naturally or by artificial addition to processed foods. Too much salt prompts the body to store water in excess. For every bit of salt, we need a certain quantity of water, in order to maintain the micro-nutrient balance within. Therefore, the more salt there is, the more water it requires. For long term effects, you need to limit your salt intake on a daily basis (do not eliminate it completely, unless you tend to consume naturally salty foods). Look on the labels of the foods you eat to identify their salt content. Preferably, buy fresh foods and cook these at home, so you can control everything that goes into your meals. To give these a good taste, you don’t have to rely on salt; you may simply use spices – there are countless options and combinations that can totally delight your taste buds. Besides, spices help with fat burning if consumed regularly. Limiting your water drinking does not lead to dropping water weight, contrary to popular belief. This is perhaps that counter-intuitive piece of advice which makes the greatest difference. Drinking water will have the contrary effect. Don’t skip that glass you feel like drinking at some point. Depriving yourself of water is a very bad idea, no mater how much water weight you’re carrying. Make sure to keep water close to you all day and sip every now and then, to stay hydrated. Going for long times without hydration will actually make you store water within. Drinking at short and regular intervals is also good for fat loss. It is the best thing you can do. Synthetic pills are often harmful and may have side effects that spiral out of control. Instead, you can switch to natural herbs that have a water expelling effect, such as dandelion (which is considered the best natural diuretic), horsetail, corn silk, parsley, garlic or fennel. Ginger, juniper and hawthorn are also valuable in restoring the salt and water balance. Besides, all have fewer side effects than pills. Try various ones on the list, because one remedy may not work the same way for everyone. You have to find what works for you. You may even include some of these to your meals as spices, or to salads. Even bodybuilders use this method, as it’s effective and much safer. Cranberry juice is yet another natural diuretic you can use. Make sure to select a drink that’s based on cranberry extract and not the type that’s loaded with sugar. Additionally, you can focus on foods and supplements containing potassium, as this is an element with a similar water-expelling effect. You may have heard that fibers have a major role in stopping constipation. It is because fibers draw and absorb water, which gets flushed out. You may use this effect in order to get rid of water weight, too. Simply eat more of the fiber-rich foods (predominantly fresh vegetables) and the rest will happen on its own. It’s a dietary change that will improve so many health areas. By cooking food, you are destroying much of its goodness, including vitamins and the aforementioned fiber. These are important to your fluid-eliminating regimen, therefore you must begin to cook less and prefer raw foods. This is, of course, mainly valid for vegetables and fruits. This way, you maximize the benefits and avoid water retention. Fresh raw foods also have a naturally high water content, thus helping you stay hydrated from within. Cooking tends to replace this water with frying oils, for example. If you need it to keep your focused and alert, then know it can be your friend in weight loss, too. Caffeine in whichever form is a powerful diuretic. You may have noticed that it makes you visit the restroom much more frequently. If you want to lose water weight quickly, drink coffee or tea throughout the day or take a caffeine supplement. Green and black tea are great choices, too. Avoid soft drinks, because these are loaded with sweeteners. Caffeine is also present in many fitness-related products with a stimulating effect. It’s true, alcohol causes dehydration, but this doesn’t mean it can counter fluid buildup. On the contrary, it instills a state of thirst, which calls to be satisfied, often by drinking more water than you normally would. Also, it makes the body store more of the water it receives. It simply hangs on to it, because of the dehydration it experienced. Drinking alcohol can thus be very tricky, in addition, it’s got serious fattening effects. PMS is a time when a woman’s body retains more fluid, as a consequence to all the changes it goes through. As estrogen decreases and progesterone increases, certain cravings occur, particularly for carbohydrates and fats. This is why women often feel they can’t help their eating habits during this time of the month. It is frustrating, because such habits also prompt fat gain. What happens in addition is that the triglycerides are locked in fat during this time, which enforces the cravings, as well as water retention. A solution to this would be to take Magnesium supplements. If that is not enough, you may speak to a physician about your symptoms and manage these with natural supplements, including anti-stress products. If you’re a gym regular, you must have heard by now about creatine, a supplement usually taken by bodybuilders to enhance their musculature. What this substance does is pulling water from the surrounding tissue inside the muscles. At the same time, it boosts protein synthesis. However, creatine has a different effect than all other recommendations, it actually makes your body store water instead of getting rid of it. What’s different is that it gets stored inside the muscles, making these look more defined, while your weight stays the same or increases. You may gain 2-4 pounds of water weight but it will make you look much better. When you’re unsure about your diet and what nutrients it supplies you with, it’s best to take a multi-vitamin supplement. This can solve any deficiencies you may have, if it’s a good quality, complex product. When you lack a specific nutrient, especially B-vitamins, the body starts accumulating water weight. It throws it off balance. Getting the whole spectrum can fix many issues, such as low energy, low focus etc. It may even stop some of your food cravings, considering these are triggered by a lack of specific nutrients. Thus, when you get those, you no longer feel like eating those bad foods. Multi-vitamin supplements can balance you, your metabolism and nutrition habits and can indeed help you release excess fluids. The human body has a natural mechanism to control the fluid balance within. This mechanism can get out of balance, due to many factors, particularly diet and stress. With the tips given above, you can work on restoring its good functioning in the long term, as well as on fixing the issue short-term. This can help you lose several pounds within days only and solve part of your excessive weight problem. The good news is that you can get rid of water much easier than you can melt fat. This means that, should you be in need of losing weight quickly, you can focus on your water retention instead of the adipose layer and face frustration. You might realize in fact that dropping the water weight was all you needed in order to look leaner, with a better defined body. Water stored inside tissues can mask itself like fat. You’ve got nothing to lose if you try these tips to see what happens. Your evolution might just surprise you. 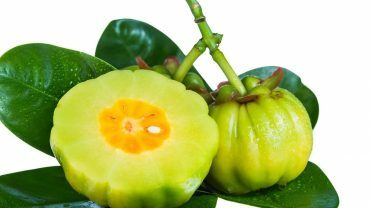 Garcinia Cambogia Pure Review – The Holy Grail of Weight loss! Roger is an editor at Dietarious.com, he is passionate about dieting, bodybuilding, and weight loss supplements.